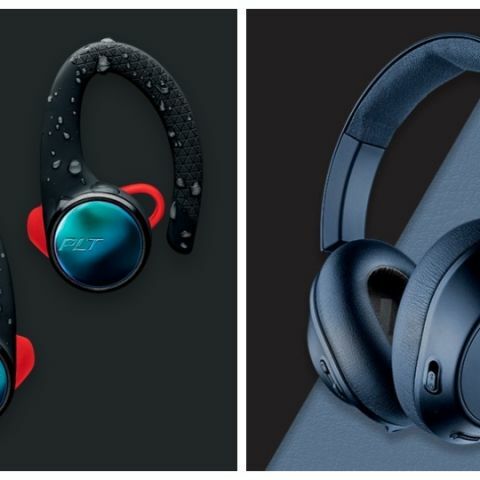 Plantronics has launched three new headphones under its BackBeat FIT series and one BackBeat GO 810 earphone. Plantronics has launched its new BackBeat FIT and BackBeat GO series of audio gear in India. Under the BackBeat FIT series are the BackBeat 2100, 3100 and 350 earbuds. All the three earphones support wireless connectivity and are water and sweat resistant. The BackBeat GO 810 is said to deliver up to 22 hours of audio playback in a single full charge. Runners, fitness enthusiasts, students and active people of all stripes should put the new BackBeat FIT on their wish lists. This headset delivers legendary Plantronics audio quality and uniquely boasts the Always Aware™ feature that enables outdoor enthusiasts to “hear what truly matters”. These wireless headsets have soft, flexible earbuds that fit and hold comfortably in every situation, they are durable, safe and stylish. “People expect more than just sound from their headsets. They expect clear, simple experiences that make their days better and more enjoyable whether they are running, playing Fortnite or travelling across the country or world,” said Tanguy Leborgne, General Manager, Plantronics Consumer Group. “I just completed a marathon near Mount Kenya in Africa using a BackBeat FIT headset because what mattered to me was making sure only people were chasing me, not wild animals” added Leborgne. Any huge differece between quality of MP3, flac, CD and 24-bit audio?